Anyways, Morgan Stockhour lives on the floating city of Internment. The city was placed in the sky by the Gods and the inhabitants of Internment are never allowed to leave and getting to close to the edge of the city can lead to death or madness. On the surface Internment seems like a paradise. Lives are simple and happy and everything is taken care of. Before birth you are matched up with your betrothed, you go to school, you work, you have children and then 75 years later you are dispatched. This is Morgan's life and she has never questioned it until there is a murder in the city. After this, Morgan can't stop herself from seeing the cracks in her world and wondering if perhaps Internment isn't what is seems to be. As you get to know Morgan better you learn that life on Internment isn't always perfect. There are the jumpers, people who have tried to leave Internment by jumping off the edge who are left forever scarred. Morgan's own mother has serious mental health issues. Her family has basically drifted away and Morgan is left feeling lost and longing for her childhood when things were happier. 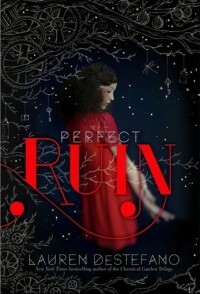 I really enjoyed Perfect Ruin. As the story progresses, Morgan learns that her entire life has been a lie and her family and her world are not what they seem. I loved that while Morgan was naive she was never weak and as the reader you learn along with her instead of just being told how things are. I also enjoyed her relationship with Basil, her betrothed. It is one of the few not creepy relationships in YA stories. Basil's character could use some more development but I have a feeling that is going to come later in the series. It is really obvious that Perfect Ruin is the first in a series because a ton of questions are asked and almost none are answered. You get to know Morgan very well, you understand her life and her family and the world she lives in but very little else. Because it is the first book it is also not the most exciting. 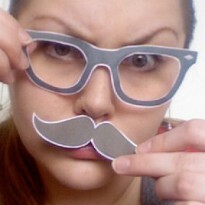 BUT that doesn't mean it wasn't entertaining and captivating.